Join us in New York for this unique opportunity! Master Class: How to Overcome Behavioral Biases to Improve Financial Decisions, led by Professor Kevin Spellman. Learn about several behavioral biases and take surveys to determine whether or not you have them. Learn how biases impact specific financial decisions. Receive helpful advice on how to overcome decision-making mistakes. Dr. G. Kevin Spellman, CFA, is the David O. Nicholas Director of Investment Management and Senior Lecturer of the rigorous Investment Management Certificate Program at the University of Wisconsin-Milwaukee and an Adjunct Professor at IE Business School. Since 1993, Spellman has performed investment research and managed pension fund (State Teachers Retirement System of Ohio) and mutual fund (CUNA Mutual) assets using a variety of investment approaches. 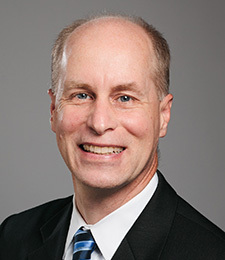 Since 2000, he has taught finance with a focus on investments, forensic accounting, and other topics at several universities in the US and Europe including University of Wisconsin-Milwaukee, IE Business School, University of Wisconsin-Madison, Durham University, and The Ohio State University. Since 1993, Spellman has performed investment research and managed pension fund (State Teachers Retirement System of Ohio) and mutual fund (CUNA Mutual) assets using a variety of investment approaches. Since 2000, he has taught finance with a focus on investments, forensic accounting, and other topics at several universities across the US and Europe.